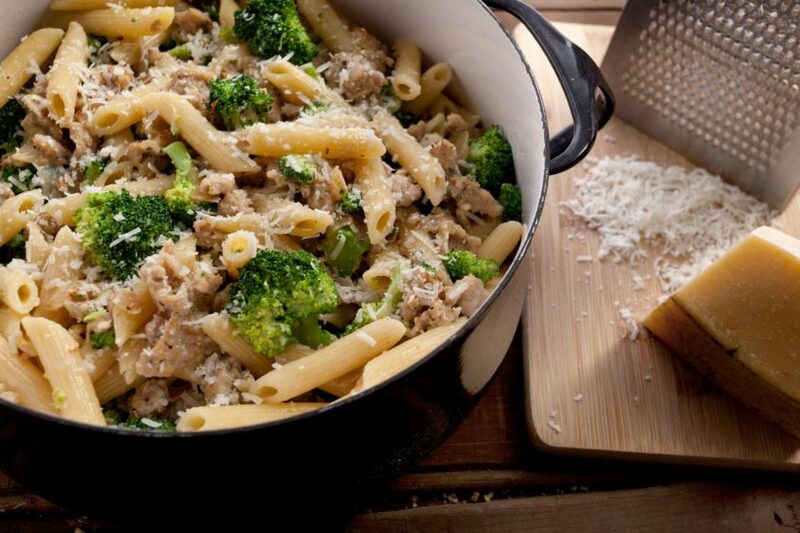 Melt 2 Tbl butter in 10-inch skillet over medium until sizzling, then add broccoli. Cook, stirring occasionally, until crispy/tender (about 4-5 minutes). Meanwhile, place whipping cream and 1/4 cup butter in a 1-quart saucepan. Cook over medium-low heat, stirring frequently until butter is melted. Stir in Parmesan cheese until melted and smooth (5-6 minutes). Remove from heat. Pour Parmesan sauce over pasta and add broccoli, chicken, bacon, and garlic salt. Gently stir until well mixed. Spoon into serving dish and sprinkle with additional Parmesan cheese if desired.